Quick: which is more creative, the billion-dollar multinational corporation with established market positions in competitive markets all over the world or the scrappy start-up with ten employees in a loft and a foosball table in the corner? If you’re like most people, you probably assume it’s the start-up. After all, everyone knows that start-ups are fueled by the creative vision of their founders. But what if someone told you that popular concept of creativity—chaotic, harried, stressed, small-scale—has nothing to do with the actual science and practice of creativity. And worse yet, most businesses are sorely lacking in creativity, whether they have two employees or twenty thousand. Experts are just now beginning to understand how creativity works and how powerful it can be in the business world. The problem is that so few businesses understand how to correctly identify creative people and create an environment that fosters creativity. According to Natalie Nixon in Inc. magazine, the idea that creativity “just happens” and is driven by flights of fancy and emotion doesn’t reflect the reality of creativity. Nixon is the director of strategic design MBA program and Philadelphia University. According to her research, creativity is actually a discipline. It takes practice and thrives in a structured environment. In practical terms, this means making an effort to provide time and space for people to be creative. Google is a great example of a company that works hard to foster creativity. The tech giant famously has a department where people are paid to dream up the robots and tech products of the future. This department is where Google Glass and the Google self-driving car were born. The fact is, most companies don’t recognize the creativity of their own employees and do little to encourage it. Instead of providing a venue for employees to exercise creativity, many companies have built cultures that are based on rules, division of responsibility, and above all, relentless productivity. The same employees who might grumble about following the latest departmental procedures are likely going home and mastering all sorts of creative pursuits, whether it’s scrap-booking, gardening, painting, photography, or any other art form. 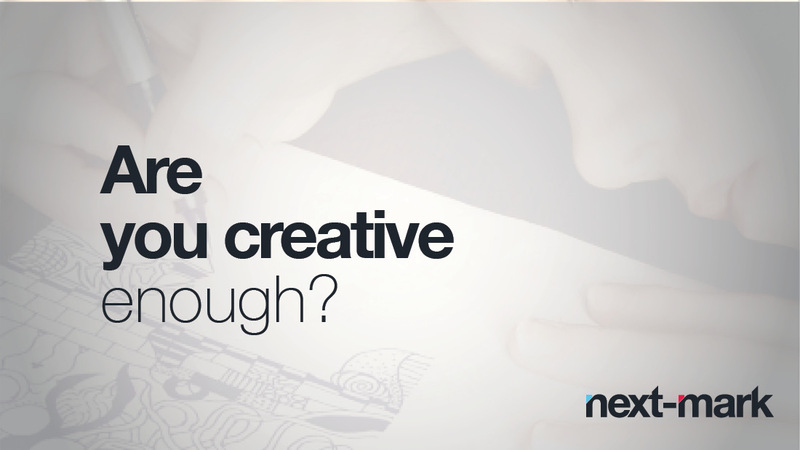 So, is your company creative enough? If your company has created a culture that is open to new experiences and ideas, where people have structured time to engage in the act of pure creativity, then you are likely reaping the rewards of a creative workforce. If this doesn’t describe your workplace, it’s likely that you’re company is missing out of the tremendous competitive advantage of creativity.